Hi guys! 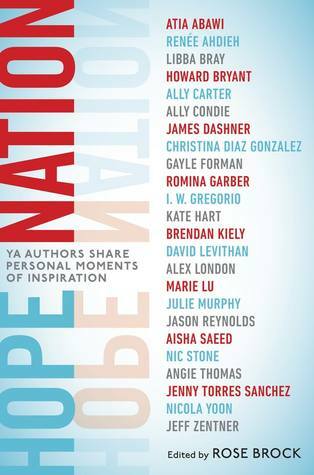 I’m so excited to share this anthology with you today! This is full of some amazing writers, and there are some great stories. I had a hard time getting into this book at first, but once I decided I would skip around to read essays by authors I truly enjoy reading, that’s when I felt like I could get behind this book. After I warmed up to those authors, I was able to go back to the essays that weren’t doing it for me initially. I did end up skipping the essay by James Dashner altogether because I can’t bring myself to read his writing after everything coming forward. One thing I really liked about this anthology was all of the different takes on hope and what hope looked for them all. Marie Lu’s piece on growing up in 1980s China was captivating, and I feel that I learned so much more about her in that one story than I could have known ever. I also loved Nicola Yoon’s essay about her relationship with her husband. It was beautiful to read about why she loved him so much and how she wouldn’t give up anything for him. It reminded me that love is worth fighting for. I definitely recommend this to people looking for a hopeful outlook in these bleak times. It’ll give you a few shots of hope inoculation (thanks, Gayle Forman). Thanks for hanging out on the blog today! Make sure you follow along the tour to hear from so many other awesome book lovers. Hi guys! I’m going to try to keep up with my reviews this year. I missed reviewing a lot of the books that I read, and maybe one day I will catch up on them. Today is not that day, though. I’m already behind on my reviews for the year, but no fear! I am working on them when I can. 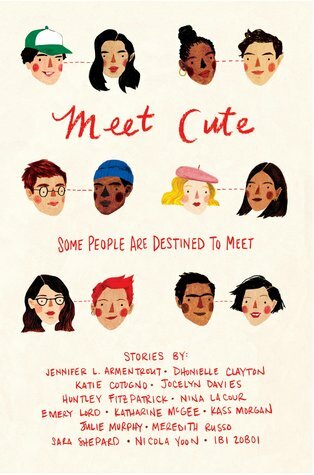 Today I’ll be starting with my first read of the year — Meet Cute, an anthology of first meetings edited by Jennifer L. Armentrout. It’s true that I have a few high expectations with love! I read so many perfect love stories that somehow come together in the end that I can’t help but want a little piece of it for myself, is that too much to ask for?! However, I do realize that these are fictional stories not bound by the conventions of the real world (fortunately anything can happen here). One of my favorite stories by far was Nicola Yoon’s story about a Relationship Doctor and a Client. The main character is an expert in heartbreak and she works for the institution of love as a specialist in heartbreaks and detecting how they happen. You can imagine what comes next. I honestly want this one to become a full-length novel. It sounds like a beautiful world that could be built from this little beginning here. Think Love Charms and Other Catastrophes by Kimberly Karalius but a shorter story and written by the wonderful Nicola Yoon. This gave me the perfect feel good vibes that I wanted. The natural breaks between stories made it easy to read in spurts. I wish they were all longer — I want to know what happens to our heroes!! 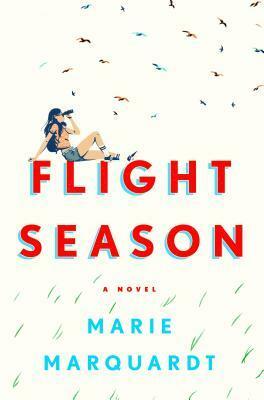 Definitely pick this one up if you’re looking for a little romance or to renew your belief in that L-word. Happy Sunday! I can’t believe another week is over. 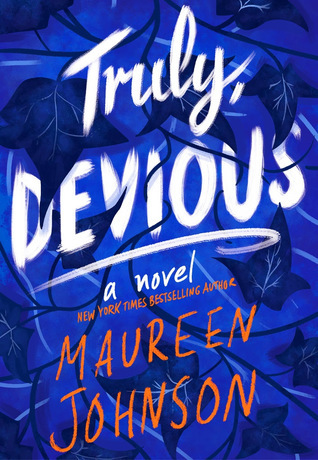 I’m excited to be able to talk about this book today because it was quite lovely, and I devoured it in almost one day. Thank you so much to the publicist and publisher for providing me with a copy for review! Once I picked up this book I could hardly put it down. I’m so glad I brought it along with me on my trip to Chicago last weekend! I rode the train which took so much longer than I thought and it was a perfect companion. I finished it the very next day because I was so tired on the ride back that I had to put it down for the last hour of the trip. This is quite an exceptional book. Though I find the ending to be a bit far from what would actually happen, I can’t imagine this story without it. As I read this book I loved the three characters more and more. I like how each chapter was styled to fit with each voice of the character it took on. Vivi’s chapters always started with an entry in her birding journal. It was so fun to learn more about birds and see how they related to her (and the book title). Birds are always used in literature as a contrast to humans, and I like the different way that it’s used in this book. I love how Vivi sees the world through and with birds in them. It’s something I didn’t think about before and I immediately wished that I could see each one of the birds she wrote about in her journal immediately. Ángel was definitely a voice I wasn’t expecting. We don’t get to read his POV every third chapter like some books, and I found myself looking forward to each one that I did get to read. He had a unique perspective and his role in the book became more and more apparent as more of his story was revealed. I feel that Ángel gave depth to the book that couldn’t be achieved any other way. TJ was a fun character to get to know too. His family reminded me a little bit of mine, but mine isn’t as conflicting as his. Except I would be more like his cousin’s family because mine is so big. His voice was well written and I enjoyed his dialogue and the way he changed over the course of the novel. Seeing him interact with Vivi and Ángel was my favorite part of the book. This book deals with a lot of serious topics. Grief and death are strong themes throughout. The topic of immigration is also something that comes to play a big part in this book. It’s something that is handled and written about well. I feel that anything but writing it with the utmost care is something that could go awry quickly. Marquardt’s care with these are apparent and I respect that about her strength as a writer. I did feel that the ending was a bit unrealistic. It was something that was of the ideal situation in the way that it happened, but I can’t quite go along with this one. I can’t imagine it any other way though. I’m glad it ended this way in the very end. I hope you take the time to find this book this Tuesday! It’s a unique read that is well worth your time. Hi guys! 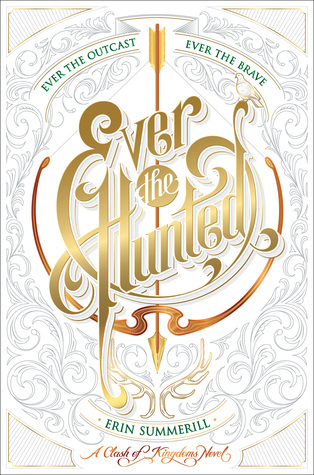 I’m back with another installment of throwback Thursday reviews in which I review a book that I’ve read that was released more than 2 years ago. I decided to read this because I was a bit impatient with my current reads. It took a bit of time to get into, but I did enjoy it in the very end. I remember when I was finishing this book that I told my roommate that I wasn’t going to bed until it was done, and it was definitely worth staying up later. OKAY SO LIKE THAT JUST HAPPENED?! OH MY GOD OH MY GOD OH MY GOD🙈 I am SO ready for the second book, and it was a good thing that I have it on me somewhere!! I could not wait to read the second book, and I’m glad to have the second one right here. I haven’t gotten to it yet (too many other books I have to read at the moment), but I’m so excited to do so. Britta was a fun character to get to know. For a bit I found her a little annoying, but after a while I found myself rooting for her as she travelled across Malam. She has verve and works hard for what she wants. Something that I quite enjoyed was discovering her inner strength with her. I wanted her to want to be more, I wanted her to come into herself. I think there’s more room for growing, but I liked the direction she was going in toward the end. I wish I got to know the world it was set in a little more. I felt like I was looking for more details than what we got, but I did love that it included a map in the pages! Books with maps are a special kind of awesome. I feel like it gives you a much better sense of positioning in the entire book. All in all this was a pretty good read. I recommend it to those who are looking to settle in for a good, long adventure. Hi all! I know this is a bit late and that I’ve already posted a bit since the year has started, but I really haven’t gotten into blogging the way I used to. I came into 2018 wanting to do a lot more with this blog than I have in the past couple of years. It had become a bit of a chore because I felt like I didn’t have a lot of content to write about and with the number of posts that I wanted to do versus the time that I had to write them was few and far between. That being said, I don’t think it’s ever too late to try to make something work or reinvent something you used to love. Since coming to college, I have tried so many different and new things that I have truly loved and things that I realized don’t have a place with me anymore. It’s truly a time of great change that a lot of people talk about, and it’s slowly being written about in today’s literature. Read 100 books — I read 104 last year, exceeding my goal of 80, so I thought I’d set the bar high again. Maybe I’m a little ambitious? Achieve at least a 3.5 GPA — I push myself hard academically, so this is nothing that isn’t new to me. I’m really hoping to keep up the good mojo I have from last semester! Complete another year of bullet journaling — Last year I got into the trend of bullet journaling! I made it through the whole year and it’s been a very useful tool for me. It’s also one of my creative outlets that I’ve found to be really relaxing. Do you set resolutions? I know a lot of people do and a lot of people don’t. It’s something that I don’t always do, but turning over a new leaf and trying to cultivate some better habits for myself is always something I look to achieve. With that I’m ready to wrap up this post! Thanks for joining me on this rambling post of mine.